Celebrate the Lunar New Year and ChinaFest: Year of the Earth Dog at the VMFA – The VMFA will have a special celebration for the Lunar New Year this year. Head on over to create an Earth Dog lantern and make your own watercolor lotus card. Enjoy demonstrations and colorful performances, including the Lion Dance, to welcome the Chinese New Year. It all starts at 10:00 AM and runs through 4:30 PM Saturday at the museum, and it’s all free. Harry Potter and the Sorcerer’s Stone in Concert at the Altria – The Harry Potter film series is one of those once-in-a-lifetime cultural phenomena that continues to delight millions of fans around the world. This concert will feature the Richmond Symphony performing every note from Harry Potter and the Sorcerer’s Stone. Audiences will be able to relive the magic of the film in high-definition on a 40-foot screen while hearing the orchestra perform John Williams’ unforgettable score. Shows run through the weekend and tickets start at $52.50. 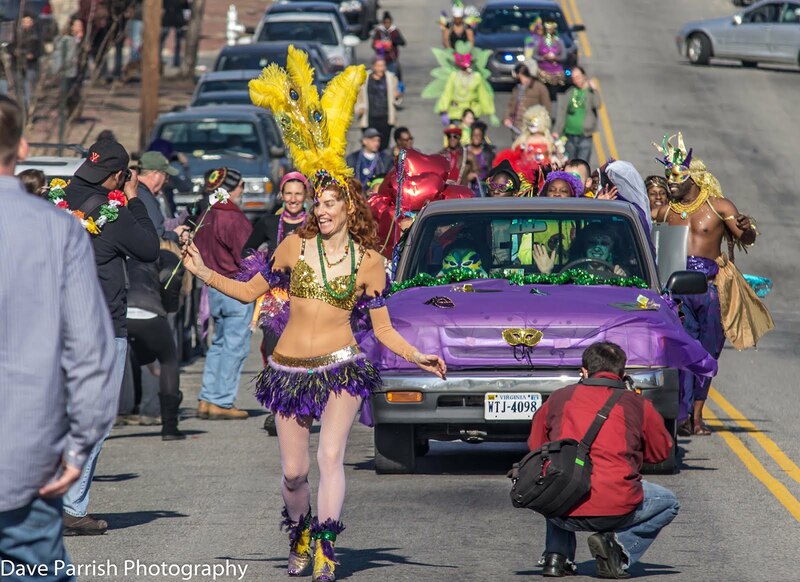 Mardi Gras RVA celebration at Dogtown Dance Theatre – Dogtown Dance Theatre brings New Orleans style to Richmond for the 7th year with the annual Mardi Gras RVA celebration. Join them on Saturday, February 10th for the biggest family-friendly Mardi Gras event in town. Dogtown kicks off the day of fun and activities with a block parade in Manchester. Everyone is welcome to join in on the parade. Dogtown performers and the entire community are invited to dress up, have fun, and dance in the streets. The parade kicks off at 3:00 PM and is a great way to get jazzed up for the main event inside the theatre. After the parade, the party moves inside at 4:00 PM with live music, activities for adults and kids, free New Orleans King Cake, Mardi Gras beads galore, and performances from a multitude of artists. The parade is free; the party inside is $15.